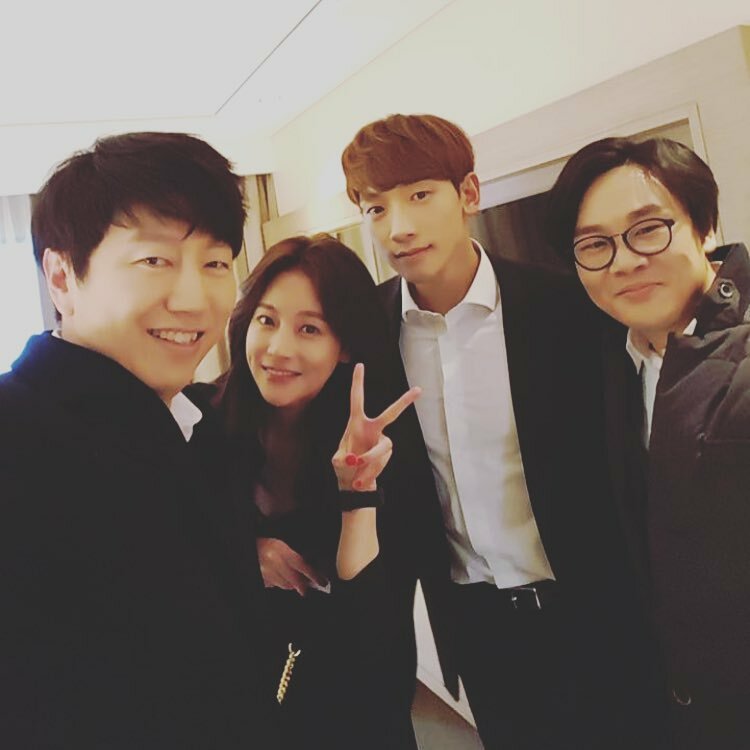 “Come Back Mister” first airs February 24, 2016 in South Korea. Here’s 6 character stills for upcoming MBC drama series “One More Happy Ending.” The character stills are of Jang Na-Ra, Jung Kyoung-Ho, Kwon Yool, Yoo In-Na, You Da-In and Seo In-Young. Ep.1 trailer for “One More Happy Ending” can be viewed at AsianWiki. The drama series premieres later tonight in South Korea. Lee Gi-Kwang from boy band “Beast” and actress Lee Yeol-Eum are cast in supporting roles for upcoming MBC drama series “Monster.” Actor Seo Kang-Joon and actress Hwang Jung-Eum are currently weighting offers to play lead roles in the drama series. In drama series “Monster.” Lee Gi-Kwang and Lee Yeol-Eum will play Kang Ki-Tan and Cha Soo-Yeon respectively. They will play 20-year-old somethings of their characters. They will appear in 4 episodes of the drama series. The drama series will follow a man in during the 1997 financial crisis up to the present days. “Monster” first airs sometime this April in South Korea. First script reading for upcoming tvN drama series “Pied Piper” starring Shin Ha-Kyun, Jo Yoon-Hee and Yu Jun-Sang took place January 1, 2016 at CJ E&M Center in Sangam-dong, Seoul, South Korea. Drama series revolves around a police crisis negotiation team as they try to solve cases peacefully. “Pied Piper” first airs sometime March, 2016 in South Korea. Here’s two posters from upcoming KBS2 drama series “The Promise” (English title) starring Lee Yu-Ri, Song Jong-Ho, Park Ha-Na and Seo Jun-Young. The two posters feature actress Lee Yu-Ri in the roles of her two characters Lee Na-Yeon and Baek Do-Hee. Shooting for the posters took place January 6, 206 at a studio in Deogyang, Gyeonggi Province, South Korea. The poster on the left has Lee Yu-Ri in the role of Lee Na-Yeon. Her character has a bright personality. She delivers lunch boxes for work. She does anything for her family and boyfriend. The second poster is of Lee Yu-Ri in the role of Baek Do-Hee. She is the only daughter from a wealth family. Her character is arrogant and tough. She works as a reporter at a weekly magazine. 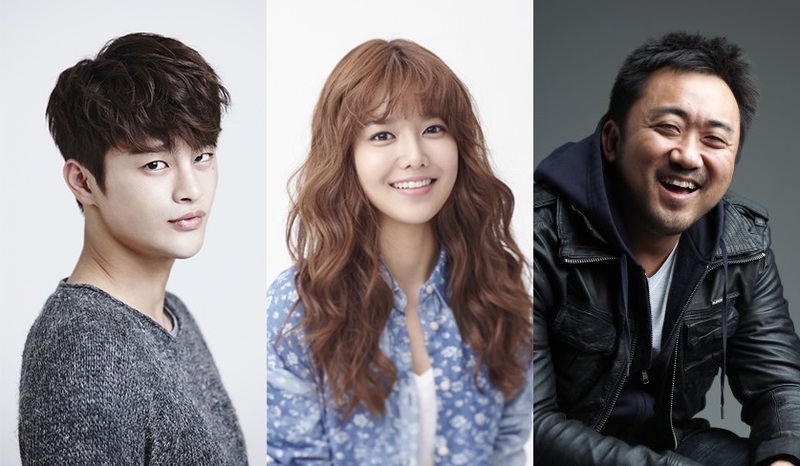 Seo In-Guk, Sooyoung (Girls’ Generation) & Ma Dong-Seok have been offered lead roles in upcoming OCN drama series “38 Task Force.” All three are currently “positively considering” their offers. The drama series follows the task force chief of Seoul City Hall and a con man working together to collect large amounts of unpaid taxes. “38 Task Force” will first air sometime June, 2016 in South Korea. Actress Kang So-Ra has been offered the lead female role in upcoming KBS2 drama series “Neighborhood Lawyer Jo Deul-Ho” (literal title). Actor Park Shin-Yang was previously offered the lead male role and both of the performers are currently “postively considering” their offers. If Kang So-Ra accepts her offer, she will play Lee Eun-Zo. Her character is an attorney at large law firm. “Neighborhood Lawyer Jo Deul-Ho” first airs sometime March, 2016 in South Korea. First script reading took place recently for upcoming SBS drama series “Scarlet Heart: Ryeo” (literal title) starring Lee Joon-Gi, IU, Kang Ha-Neul. The first script featured main cast members also including Hong Jong-Hyun, Baekhyun (EXO-K), Nam Joo-Hyuk, Ji Soo, Kim San-Ho & Yoon Sun-Woo. “Scarlet Heart: Ryeo” is based on Chinese novel “Bu Bu Jing Xin” by Tong Hua and follows 2011 HBS drama series “Scarlet Heart” which is also based on the same novel. Early working title for the drama series was”Dalui Yeonin” (“Moon Lovers”), but changed to “Bobogyungsim: Ryeo” (“Scarlet Heart: Ryeo”). “Scarlet Heart: Ryeo” first airs sometime during the second half of this year in South Korea. 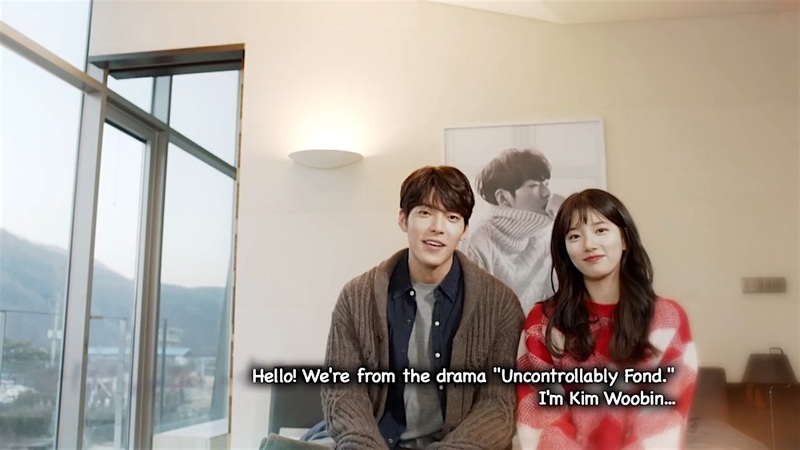 English subtitled teaser trailer added for upcoming KBS2 drama series “Uncontrollably Fond” (English title) starring Kim Woo-Bin & Bae Suzy. “Uncontrollably Fond” first airs June, 2016 in South Korea. 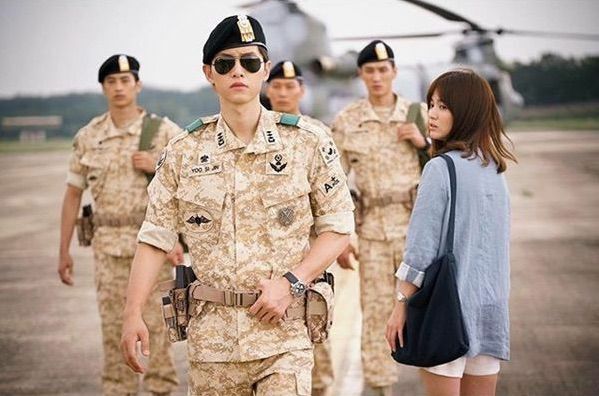 Ep.1 trailer added for KBS2 drama series “Descendants of the Sun” starring Song Joong-Ki & Song Hye-Kyo. The first ep.1 trailer is captioned as “The Woman’s Story” (“Geu Yeoja Iyagi”).